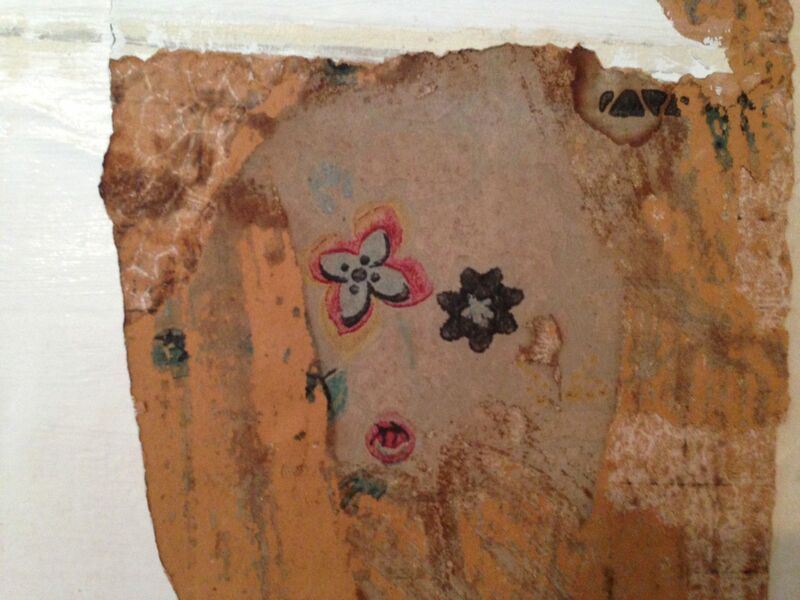 This is, I think, the original 1921 wallpaper in the kitchen. It would have been lighter. I had to wet it to remove it. The thin lines are silver. Or this might be the original paper. Again, it would have been lighter. And the previously introduced third paper in the kitchen. I will be able to save, in place, this long horizontal strip. See the hole I punch through the sheetrock on the left? That was a boxed-out, ah, box covering a round vent to the non-functioning Kenmore stove hood. I just HAD to know what was behind it. Prepare to GASP! GASP! Behind the box was yellow paint on a layer of sheetrock. 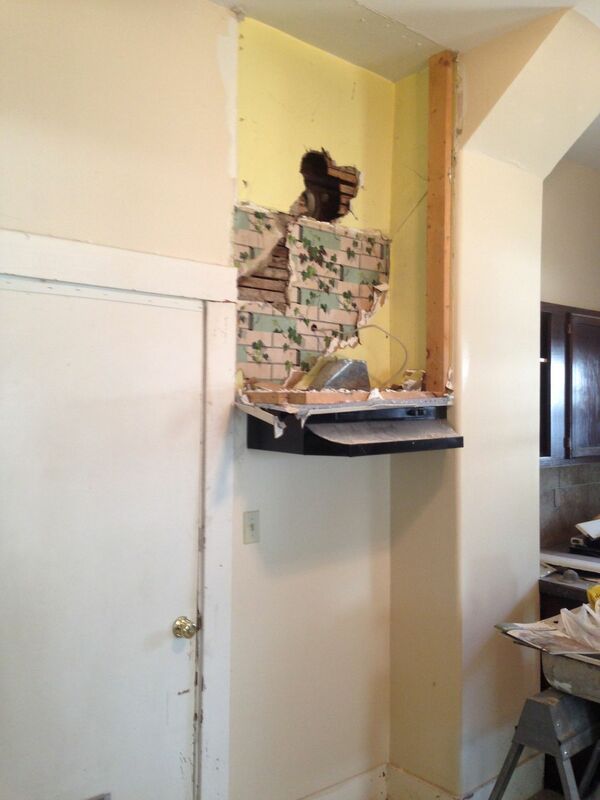 Without expecting anything, I pulled off the sheetrock. ZOUNDS! TRIPLE ZOUNDS! This is what was under more sheetrock! 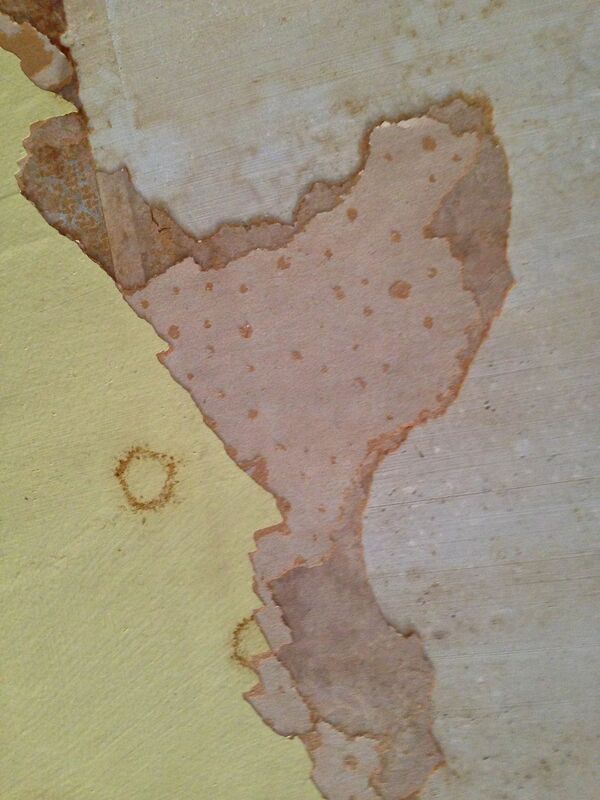 This ivy paper, I suspect, dates from the total circa-1950 redo of the kitchen. On the ceiling is this delightful paper with red circles. I love it! And at least three other papers on the ceiling. 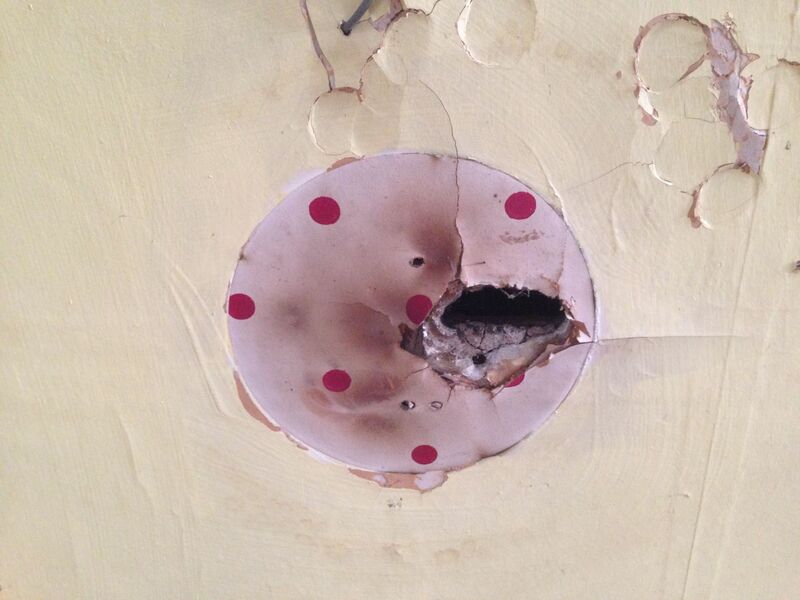 It is always a huge thrill for me to discover hidden aspects of an old house. It is one of the things I enjoy about old houses. My mind races with thoughts of previous owners, previous lives in the spaces I now occupy. My mind races with curiosity, too. WHAT did these rooms look like when freshly papered? I develop an almost painful yearning to travel back in time. There must be a way! There must be a way! 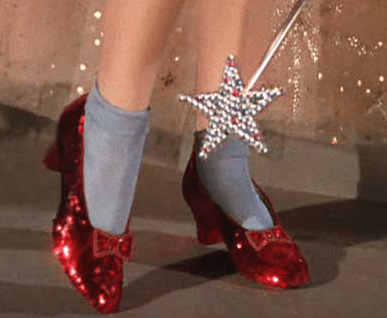 Would ruby red slippers do the trick? I’m not sure why, but this wallpaper feels like a combination of all of the above! Or this is like this ivy . So many good choices! 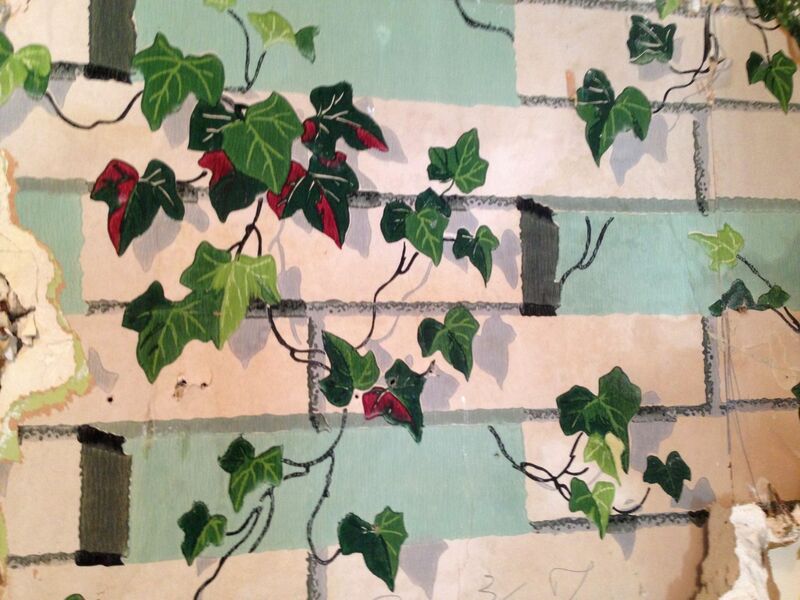 (And ivy that I LIKE!). What a fun project you have on your hands. 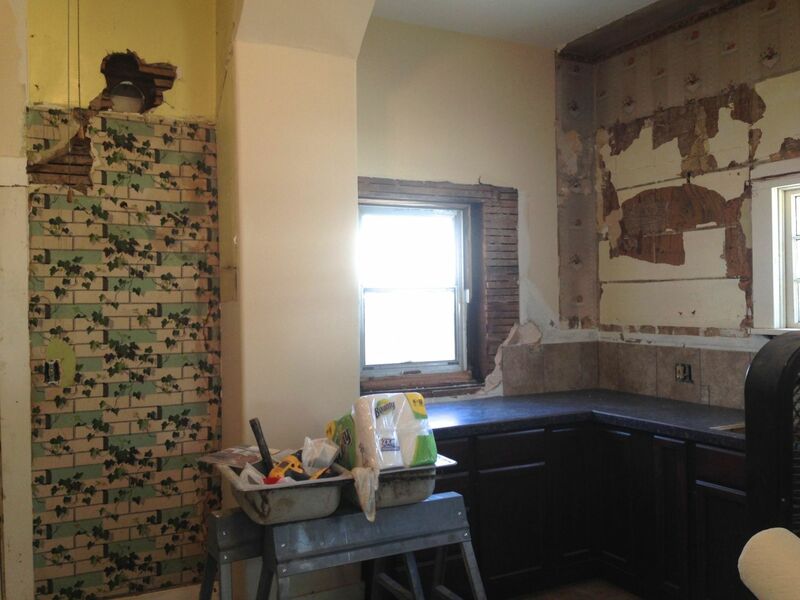 Amy, did you see my previous post about the loss of the circa-1950 kitchen? I’m pretty sure Amy and Ross are twin souls separated at birth. Why else would two people pick out almost identical wallpaper? I DID read it, but I guess I was so excited about the wallpaper you found that I forgot about the wallpaper you posted. Hilarious. What’s that they say about great minds???? 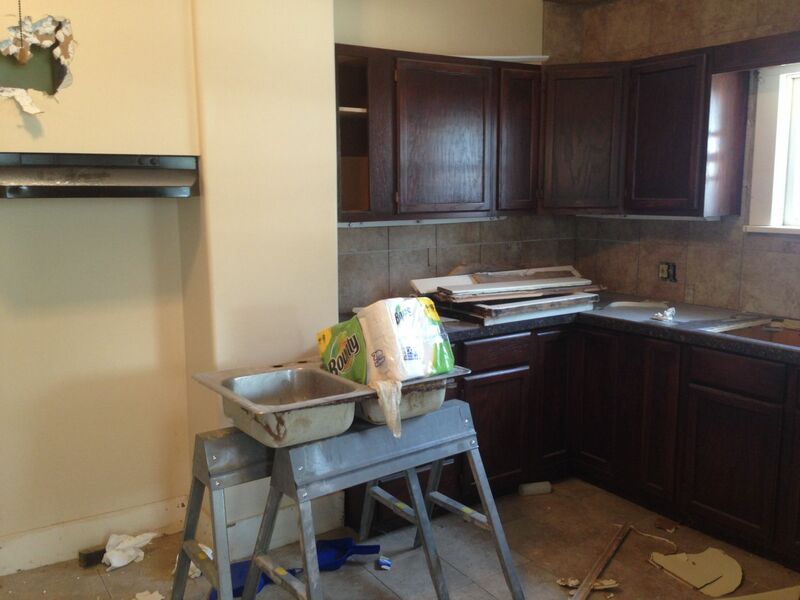 You really know how to partially demo a room! I hope you took pictures of the flooring. I found that my kitchen had an oak floor originally. Then it got linoleum in the 1930’s. Later it got a sub floor and vinyl. The abundance of staples used to install the sub floor, kept me from going any deeper. I am thoroughly enjoying your blog, which I only just discovered yesterday. Since then, every possible moment has been spent reading posts and comments, beginning with the first post, and this is as far as I have gotten so far. 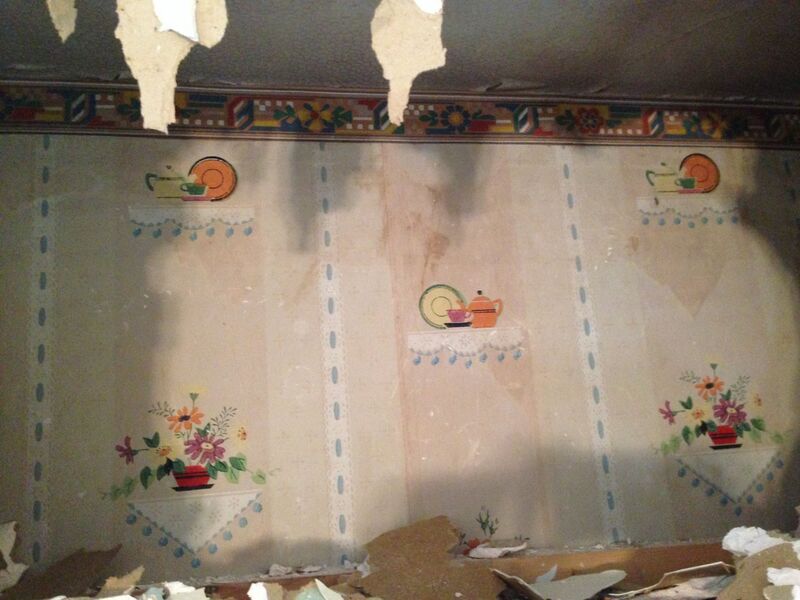 What a nice surprise to find hidden wallpaper remnants in this kitchen! 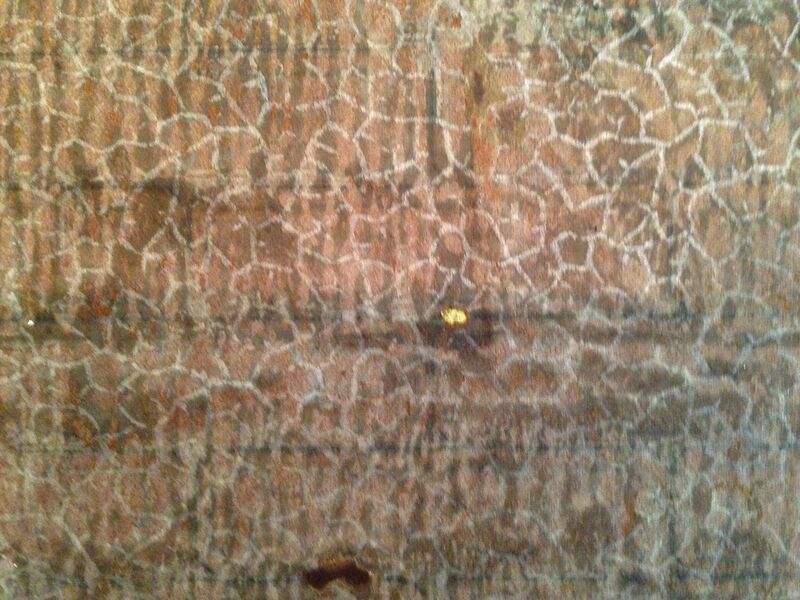 Speaking of which, one of the sites linked in the comments above by Amy currently has available some rolls of 1910- 1920’s wallpaper that matches the kitchen floor in the Cross House. At least it matches my memory of the floor pictures. It’s on the Secondhand Rose site. Sku: RLS-6. I’m not saying you should use it, just that it was a neat thing to see! Keep up the good work, and thank you for sharing with us!